To all of you who have bought or borrowed any of my books during these past special offers, thank you. You rock my world and help make my work visible to other readers. And if you have bought or borrowed the work of other writers, thank you, again. I am delighted to team up cozy readers with new authors. It’s a win win for everyone. 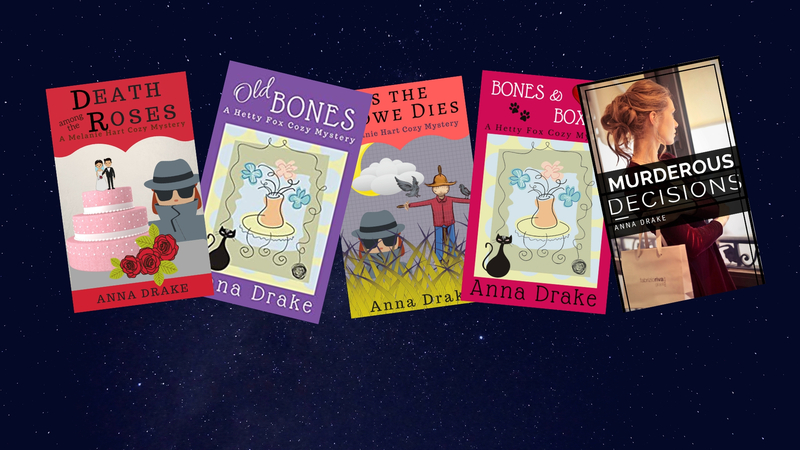 Savings galore available today through Sunday on cozy mysteries. Grab your favorite from wide variety of offerings. Stock up today to read your way through those snowy, icy and slushy days ahead this winter! A Cozy Book Fair to Start the New Year! :Longing to ring out the year with an armload of great cozies? Then check these out from authors who deicate their books to the Kindle Unlimited progm. Offer runs through the end of Deceber. Take the headache out of finding just the book you want by checing out the selection here. Some sources allege heist is a US word that came into being in the late 18th century. Another source suggested it came along in the 1920s, during the US’s fascination with American mobsters like Al Capone. It was said to have probably been based on the earlier British word hoist, meaning to lift and was somehow tied to shoplifting. If anyone can track down a more definite origen, please share.